Who says that cookies are a no-go in a healthy diet? 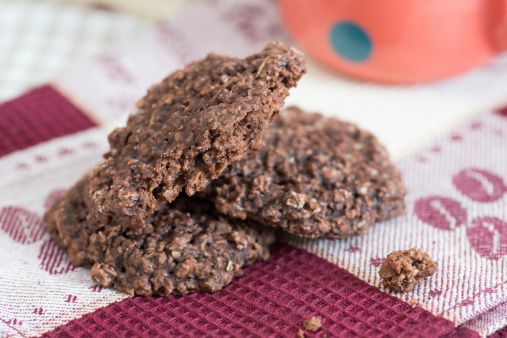 Eaten in moderation, these natural no bake cookies, made from better-for-you ingredients, are a great source of vitamins, minerals and protein. Combine honey, cocoa powder, and oil in a small pot and bring to a boil and allow to cook for 2 minutes. Remove from heat and stir in the oats, peanut butter, and vanilla extract. Place spoonfuls onto wax paper and allow cookies to cool for approximately 15 minutes.